Ever wonder what a human fire-breather looks like? [youtube=http://www.youtube.com/watch?v=N15VDc1KP4w] Week 3 coverage of the 2011 CrossFit Games will be on ESPN2 tonight AFTER baseball. If you haven't tuned in yet you are really missing out. These men and women will astound you! Just watched a couple of videos of NFL athletes absolutely humbled by CrossFit. Tune in and see what the fire-breathers are doing! … [Read more...] about Ever wonder what a human fire-breather looks like? [youtube=http://www.youtube.com/watch?v=fLtTNQtZfDw] Week 2 of ESPN2's coverage of the 2011 CrossFit Games starts tonight at 7pm. It's impossible to understate just how impressive these athletes are. Tune in and be inspired! … [Read more...] about Week 2!!! [youtube=http://www.youtube.com/watch?v=Gz0kDqxBC0Q] Loving the new CrossFit commercial for ESPN2 and the 2011 CrossFit Games. If you haven't tried CrossFit yet, what's stopping you? 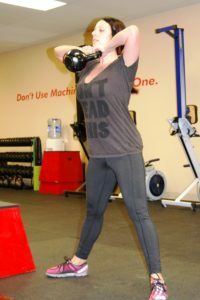 Why aren't you on your way to achieving the kind of fitness of which you barely even dreamed?! … [Read more...] about NICE! 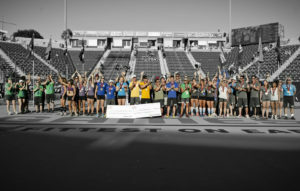 [youtube=http://www.youtube.com/watch?v=ItDWedJpwpw] Recap coverage of the 2011 CrossFit Games starts tonight on ESPN2. If you're looking to have your mind blown and your definition of "in shape" shattered, check it out! … [Read more...] about Prepare to be stupified.